Starbucks proudly honors veterans each and every year in a number of ways. This year on Veterans Day, they're giving out complimentary coffee to all eligible customers. Lots of other restaurants have free food, desserts, and other things for veterans and military members this year on Veterans Day, like Texas Roadhouse, Applebee's, Red Lobster, Red Robin, T.G.I. Friday's, Denny's, Olive Garden, IHOP, Outback Steakhouse, LongHorn Steakhouse, BJ's Restaurant, Golden Corral, O'Charley's, and Chili's. Tip: See this list of Veterans Day Freebies and Discounts for other ways you can save money on Veterans Day. 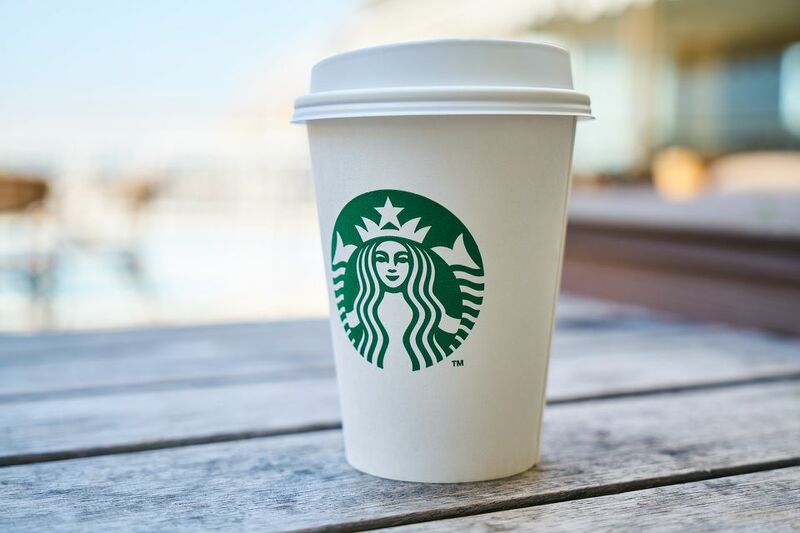 Starbucks is giving out free tall (12 fl oz) hot brewed coffees on Veterans Day, which this year falls on Sunday, November 11, 2018. Instead of getting to Starbucks on Veterans Day and finding out that your location isn't giving out free coffee, you may want to call your Starbucks ahead of time just to be sure that they are. I also have some common questions and answers about Veterans Day free meals you'll want to check out. All veterans, active-duty military members, and their spouses can get a free coffee on Veterans Day. This means that anyone else who comes in to Starbucks on Veterans Day will need to pay regular price for their coffee. More restrictions like this that you should be aware of are explained below. You should take some sort of military proof with you to Starbucks on Veterans Day to show that you are in fact a veteran or active military personnel. Given that military spouses are also eligible for free coffee, there most certainly will be some sort of ID requirement so as to prevent non-military members from taking advantage of this offer. Starbucks' Veterans Day free coffee is valid on Veterans Day only. This means you must visit a participating store on Sunday, November 11, to get your free coffee — no other day. It's also important to remember to bring proof of service in case it's required. Anyone without it may be turned away from the free coffee. This free coffee from Starbucks is limited to one per person, and any customizations you want will have to be paid for.